APPLICATION For driving a balanced or unbalanced audio line from a single ended pre amplifier. Ideal for HiFi pre amplifier or for studio microphone or distribution amplifier. Best low frequency performance is obtained when driven from a low impedance source (Valve with a low plate resistance, rp). 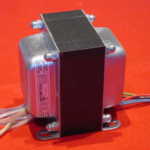 Reflected load may be adjusted by adjusting the load resistance. When terminated with a 600 ohm load the reflected anode load is about 10K. 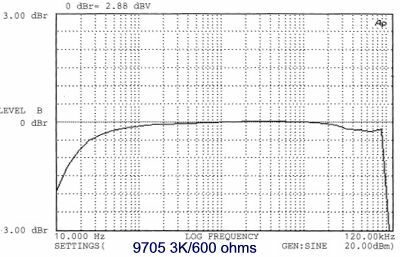 With a 1.2K ohm load the reflected load is about 20 K ohms. FEATURES A high bandwidth and low output impedance. High grade grain oriented silicon iron (M6) core for minimal losses and harmonic distortion. Multi section winding ensures minimal leakage inductance for an exceptional bandwidth.